As you might have suspected – I am lovin’ this blog! I’m glad you like it. It means a lot. The woman who wrote the diary that I quoted wasn’t in the same group at Fort Oglethorpe as Aunt Marian. Based on the information in that woman’s book, it looked like she was there 6 months or a year before Aunt Marian. I’m struck by her mention of new girls streaming in – that recruitment campaign seems to have been successful. It does sound like a success. 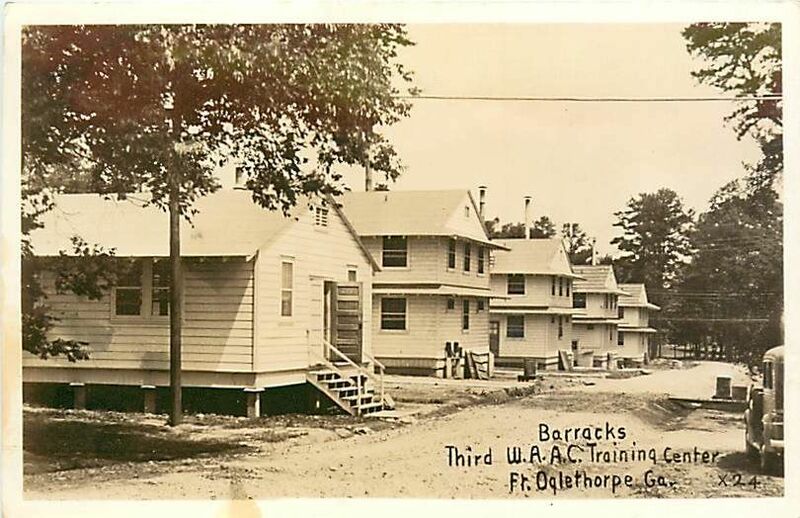 I’m guessing that a new group of recruits were arriving at boot camp–and that the trains that brought them in arrived over the course of a day or two. Great idea to research in a parallel pattern! I have to wonder if Aunt Marian as she step on the train, did she find ladies her age or did she find that most of them were just young girls ? Based on what I’ve read I think that most were younger than Aunt Marina. The largest number of recruits were in their early 20s, but I was surprised how many were in their 30s. Some were divorced, others the widows of soldiers killed in the war. There also were some women who were the wives of soldiers who were overseas. 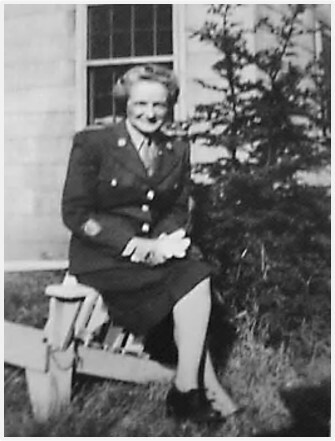 There even were a few mothers of soldiers who joined the WACs. A wonderful tidbit you’ve shared here with us! Yeah. No. I’m grumpy bear when my sleep is interrupted! Sheryl, I got the shivers when I saw the title of the post but Aileen’s account settled me a bit. Amazing how people adapt! I agree. It’s amazing how people adapt and adjust to new situations. Well, they didn’t only wash windows. Here’s a link to a video of WACs at Fort Oglethorpe practicing judo. Amazing what you can find! Wow, what an amazing find! Thank you so much for sharing link. It’s amazing how they did such vigorous physical activities while wearing skirts. This link reminds me of a photo I saw of WACs navigating an obstacle course in skirts. I may have to look for it for a future post. Add me to the list of loving this blog!! I am going to check out that book, I love reading about the homefront and our WAC’s since so little is known about both. History is often focused on the solider which is right since they are there on the front lines, but there is much to learn and many stories to be told from the women in the military and the families back home. Yeah! I’m glad you like it. I was really hoping you would. The role of women in the military has changed a lot over the years,Sometimes it almost seems like historians don’t quite know what to do with the story of the WACs. I agree – heaven forbid if women are independent and strong! I think it’s interesting how this blog is pushing you in new directions than the one based on Helena’s diary. Helena forced you to work pretty hard some days, when she didn’t write, but her diary was always there, in the background. This time, you have much more of a blank slate, it seems. So far you’re doing great! It wonderful to hear that you like it. I’m having a lot of fun with this new blog. Sometimes it’s challenging, but I really enjoy trying to figure out how to tell a story without the structure provided by the diary. Wow, boot camp, this is getting exciting. I really enjoy doing research to get background and contextual information.